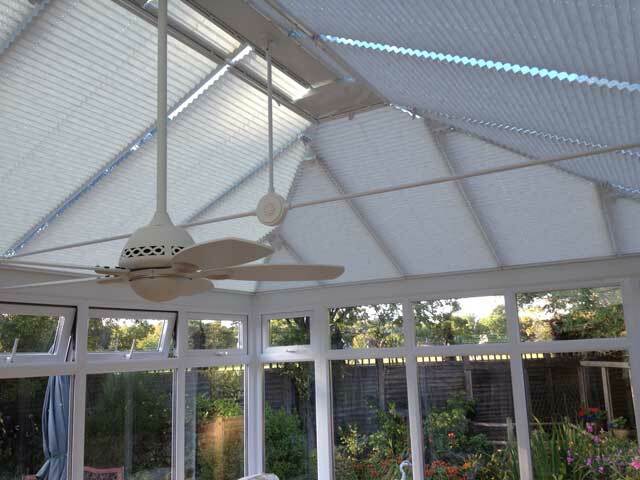 Conservatory roof Pleated blinds are an ideal solution for conservatory roof areas as they are stylish, discreet and offer excellent control over light, heat gain and glare by the use of our advanced solar reflective fabrics. 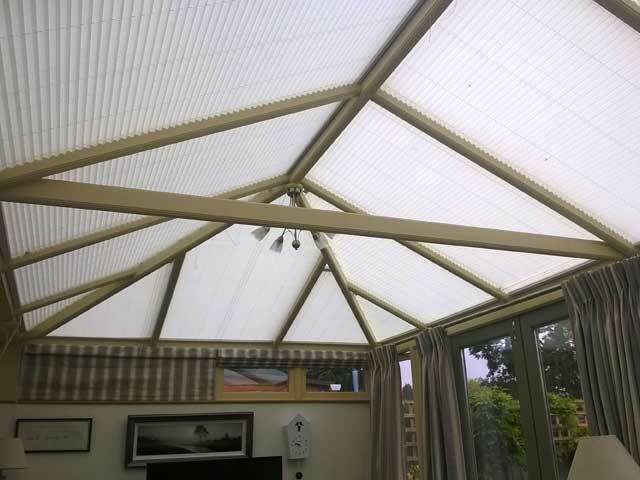 All the conservatory pleated roof blinds we supply and install are specifically measured and manufactured to fit your conservatory perfectly. 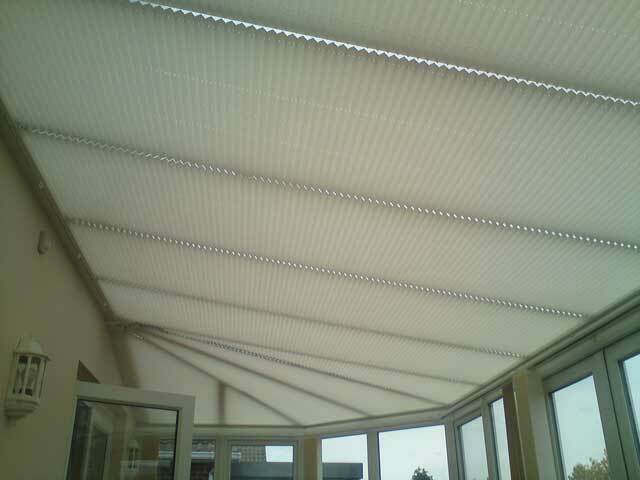 Pleated roof blinds can be manufactured to virtually any shape (including obtuse angles) and the slim 20mm pleats retract neatly when the blind is not required. 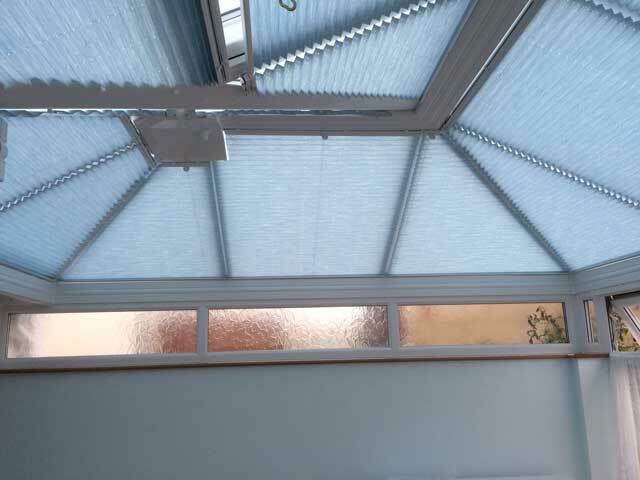 The unique pleat retention system ensures that your blinds not only fit the individual shapes of your conservatory roof but also ensures that your blinds retain their shape throughout their life. 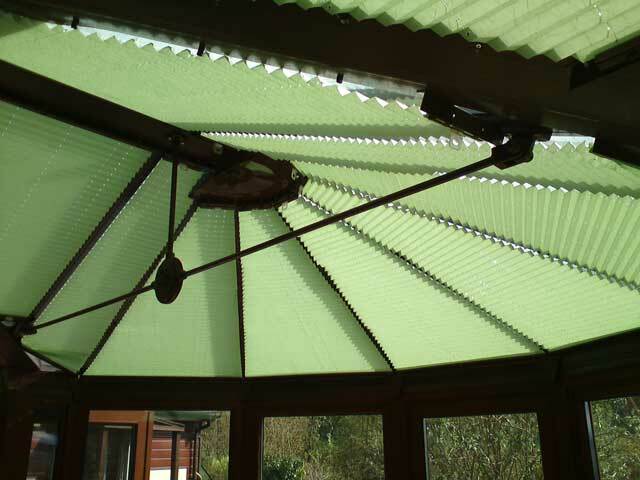 In addition to the pleat retention system your blinds can also be manufactured with our anti-fan system which reduces the possibility of shaped blinds, such as right angle triangle shaped blinds, from fanning when the blind is retracted. 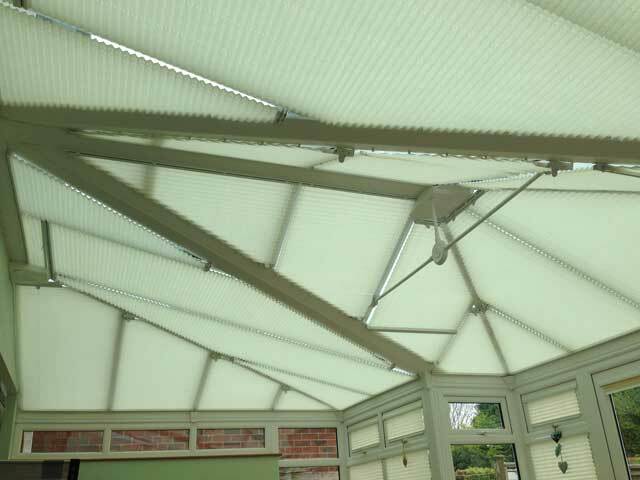 We are specialist conservatory blind manufacturers with over 20 years’ experience and all our pleated conservatory roof blinds are manufactured in our own factory utilising our own in house stringent quality control system to ensure your blinds will last for many years to come. 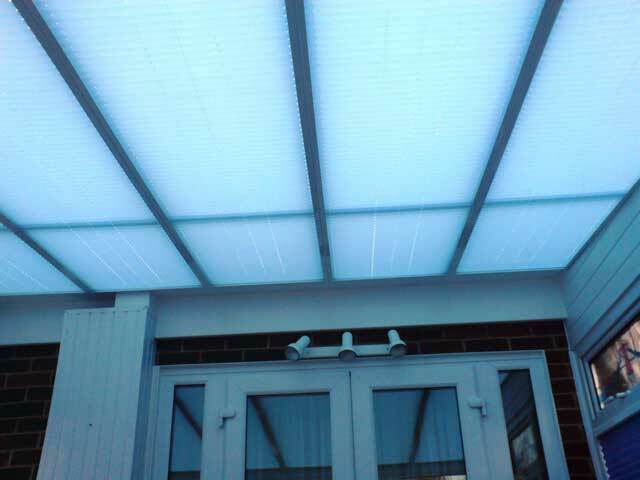 "Very professional service from initial survey through to excellent installation. 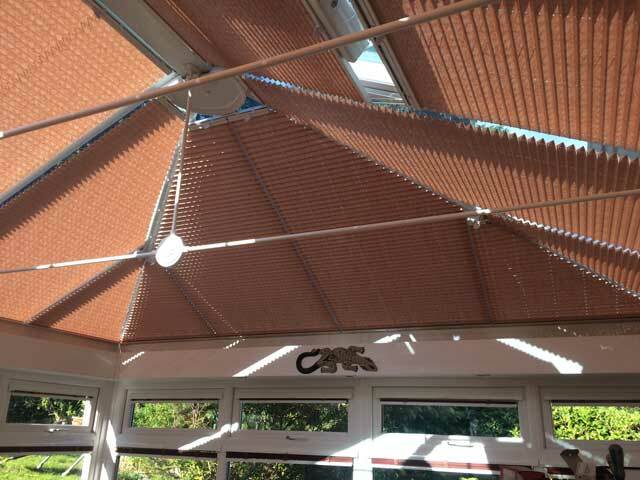 Would thoroughly recommend this company." 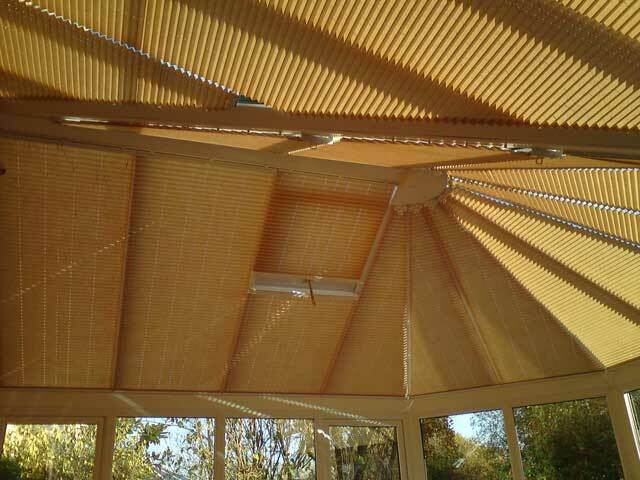 "The company was helpful. Efficient and quick, with no high pressure salesmen. for our kitchen / breakfast room."